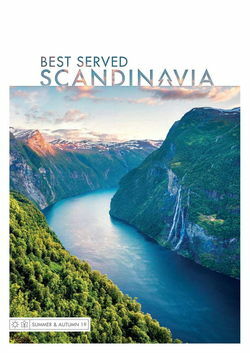 There's a question we're often asked by our clients – "when is the best time to visit Scandinavia?". And the answer, really, is that there isn't one. In summer, endless days bathed in the glow of the midnight sun allow for hiking and biking along forest-lined trails before giving way to months of cold, dark nights, where Northern Lights dance in inky skies above snow-covered forests. Then, in autumn, changing colours provide ultra-scenic views and aurora opportunities without winter's chill, while the blossoming days of spring make for wonderful wildlife spotting and exploring the natural surrounds, paired with fewer crowds. 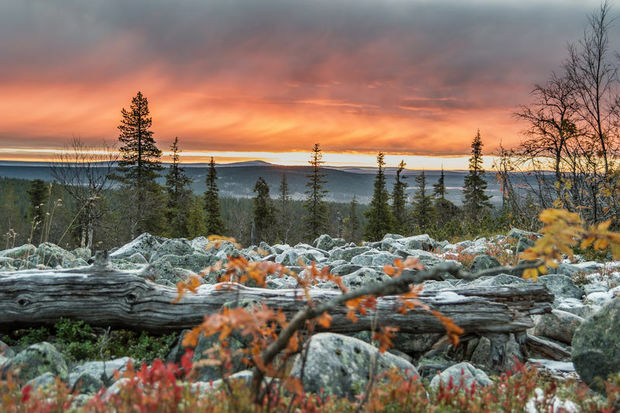 Read on to find out what each season in Scandinavia brings, where to visit and what to do to make the most of the spectacular changing landscapes. Winter is arguably Scandinavia’s most celebrated season. Sit behind the gentle hum of huskies racing through silent snow-covered canopies, spot reindeer roaming among vast pine forests and if you’re lucky, witness the stunning lightshow of the aurora borealis that dances for up to eight months in the clear, dark skies. Combine this with innovative accommodation typical of Scandinavia, from heated glass-domed igloos to luxury treehouses, with an exquisite backdrop of acres of white-covered pine trees, and you’re met with one of the best regions in which to experience the beauty of winter. The northern reaches of Scandinavia hold almost no light pollution, meaning ideal skies for the Northern Lights to surface. Finnish Lapland shines here, in glass hotels such as Levin Iglut, where heated glass igloos lie among snow-covered expanse under the ethereal lights, and the Northern Lights Ranch, where ultra-modern cubed glass-walled cabins provide a luxurious setting from which to view the aurora. 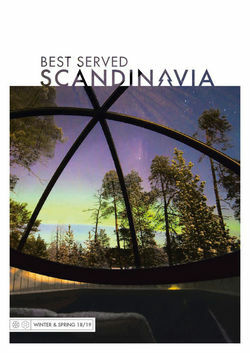 Scandinavia also plays host to the original ICEHOTEL in Sweden, possibly at its most enchanting in winter, where furs and thermal clothes keep you warm from inside your own private ice cave before you step out to hunt the aurora and enjoy excursions ranging from snowmobiling to ice carving. Over in Norway, red cabins lie on snow-covered rocks on the shores of a spectacular fjord in the remote Malangen Resort, perfect for ice fishing and witnessing the lightshow – it makes for a wonderful Christmas break. A hop over the Norwegian sea takes you to dramatic Iceland, where stunning design hotels are perfectly situated to explore the country’s rugged winter wilderness, such as the Ion Luxury Adventure Hotel, lying on a remote crag of land moments away from famous sights such as the enormous Strokkur geyser and waterfalls of Gullfoss. 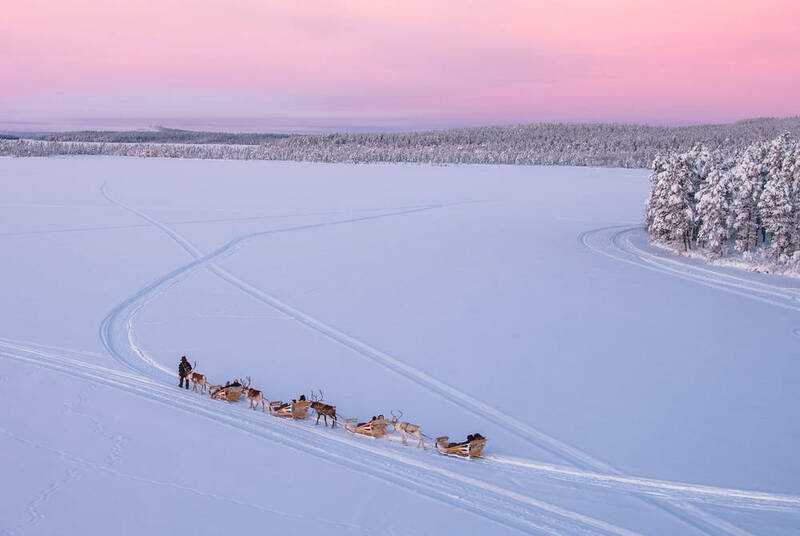 From visiting Sami reindeer herding communities to husky rides through pine trees and aurora safaris on snowmobile, Scandinavia is truly a winter playground for the adventurous. And as the home of Santa Claus, Lapland is a magical place for memorable family holidays, such as our Santa in Lapland Harriniva Break in Finland, where you'll enjoy husky rides while staying in a cabin with, in true Finnish style, your own sauna, possibly at their most delightful in winter after a long day exploring in the snow. Winter also offers wonderful opportunities to enjoy delicious wilderness lunches, with the likes of Muotkan Maja serving up tempting Scandinavian favourites cooked on roaring campfires. In Norway, snow-covered fjords and mountains are a spectacular backdrop for a Hurtigruten cruise, tracing jagged cliffs and taking in the psychedelic Northern Lights along the way. But winter magic doesn’t just lie in the wilds – Denmark’s chic capital Copenhagen offers a wonderful array of Christmas markets, including one in charming Tivoli, and Sweden’s Stockholm is wonderfully explored with a city break staying at Clarion Sign with a heated pool. Norway’s Tromso also boasts a surprisingly lively centre, with a roaring pub scene set against a wonderful Northern Lights backdrop, while coastal Reykjavik is all culture, stylish bars, and just a hop away from the famous Blue Lagoon and waterfalls. Spring in Scandinavia is more than just the promise of summer days to come, with blooming surrounds and longer days but still a relatively cool climate meaning fewer crowds, as well as increased chances of spotting wildlife as they emerge out of winter hibernation. Gorgeously scenic road trips in Iceland take in colossal glaciers, volcanoes and waterfalls swelled by the spring melt, as well as migratory puffins, and you'll have an almost 100% chance of spotting whales and dolphins from mid-April. In Finland bears, lynx and wolves are a likely spot, with our Bear Watching in Finland itinerary bringing you out to remote hides tucked away among the forest where you'll wait for a glimpse of brown bears and maybe even their cubs. And, you don’t need to miss out on the ethereal Northern Lights, either – in the far north they can be seen right through until April, our Highlights of Swedish Lapland itinerary offering plenty of opportunities to spot their colourful swirls. Cities are bustling, too – spring is Sweden’s season with the lowest rainfall, perfectly taken advantage of with cycles among Gothenburg’s neoclassical charms and hiking its city trails. 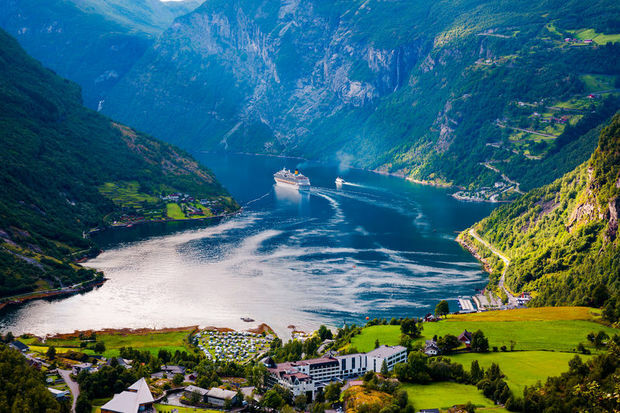 In Norway, Oslo and Bergen are ideally situated to explore Norway’s fjords, covered in spring blossom and framed by cliffs and pristine waters edged by verdant surrounds, explored with scenic road trips or on a fjord cruise ending among the Sami communities of the far north. Over in Finland, expect wonderfully scenic forest trails and the chance to row across the shimmering waters of Finnish Lakeland, while Denmark’s blossoming flowers and meadows offer a wonderful backdrop for stays in farmhouses, spending your days walking and cycling among fields and quaint villages. A Scandinavian summer is a storybook setting, all rolling fields, colourful cities and quaint villages, where red cottages line pristine lakes in Sweden, fjords shimmer among verdant mountains in Norway, and the midnight sun echoes over the wilds of Lapland. 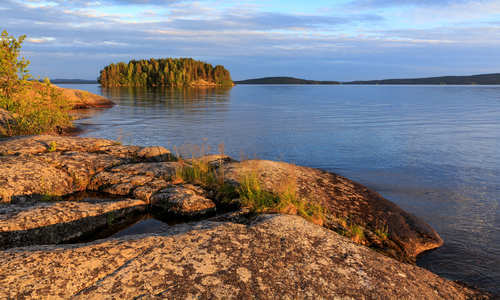 After the seemingly never-ending, dark clutches of winter, summer is a happy time for Scandinavians, where long evenings are spent eating seafood on summer decks and Midsummer celebrations in public parks are in full swing in June. Head to Stockholm with our Stockholm & Aland Islands itinerary where you'll sail, swim and cycle among the islands via a cruise and self drive. Nature becomes an endless outdoor playground in Scandinavia's stunning, albeit short, summer – Norway offers wonderful hiking along trails that hug mountains and take in the famous Trolltunga, or embark on a summer self-drive amid the spectacular scenery of the country's not-to-be-missed fjords. Meanwhile, a road trip in in Iceland is one of the best ways to take in the country's massive glaciers and waterfalls, while Finland's Lake District is wonderful for cycling, swimming, fishing and canoeing among the shores of its vast array of lakes. 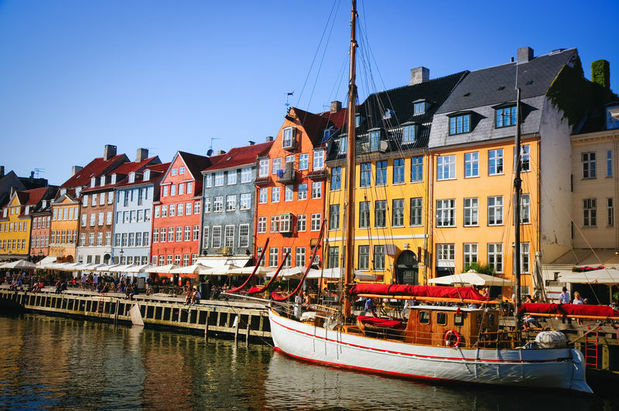 Head south to Denmark, and you'll find Copenhagen's colourful houses, verdant surrounds, long days and temperate climate make it a wonderful spot in summer. Explore it with our Best of Denmark with Small Danish Hotels itinerary, where you'll discover the charms of the capital along with quaint old towns while staying in characterful hotels. And to experience the magical midnight sun, head to the Arctic Circle, explored with whale watching in northern Norway or with a summer stay in at ICEHOTEL 365, where you'll spend days kayaking, rafting, spotting birdlife and biking endless forest trails. Summer showcases Scandinavian innovation at its finest, such as in Sweden’s Treehotel, where architect-designed cabins resemble everything from UFOs to bird nests, providing a wonderful base from which to hike and enjoy wilderness picnics among pine trees bathed in the Midnight Sun. Its neighbour Norway is home to the stunning Manshausen Sea Cabins, where glass cubes lie between sea and mountains, and an outdoor hot tub provides a wonderful end to days caving and hiking after a traditional dinner of freshly caught fish. Seafood is the order of the day during Scandinavia's summer, particularly further south – get a taste with our West coast seafood safari in Sweden. Autumn’s orange hues undoubtedly provide a wonderful setting for any holiday, and in Scandinavia, lower tourist numbers combined with summer activities and opportunities for Northern Lights viewing starting in September mean autumn is an ideal time to experience all that the region's vast landscapes have to offer. This is perhaps best showcased in Lapland, where old-growth forests turn a whole kaleidoscope of colours and are offset with the shimmering lights of the aurora in the skies. The September equinox brings some of the best solar activity to this area – you may even spot them glimmering in the rivers and lakes which are yet to freeze. One of our favourite ways to experience this is our Finland's Autumn Auroras itinerary, where you’ll hunt the aurora via horseback and enjoy fireside dinners. In Sweden, too, the temperate weather and spectacular backdrop of deep reds and browns mean hikes, bike rides, horse treks, fishing trips and kayak excursions are all on the agenda. Perhaps take in all in with our Autumn Adventure: Brändön Lodge & the Treehotel itinerary, where everything from wilderness skills sessions to night walks in search of the aurora bring your right among the country's rich autumnal hues. 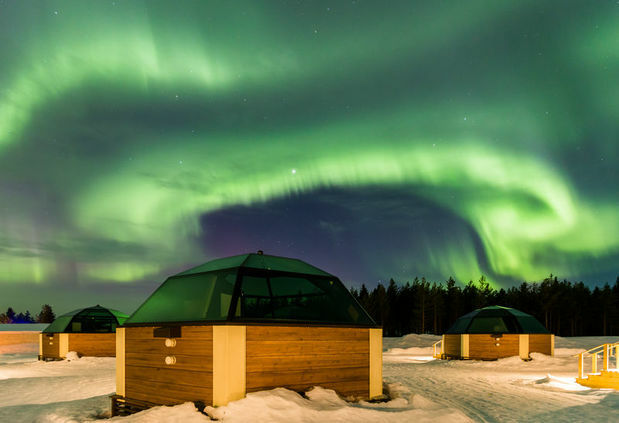 And, you can still stay in cutting-edge accommodation, with our Levi autumn break offering private aurora views from the luxuries of a heated glass igloo. Or, perhaps stay in a traditional fisherman’s cabin on the Lofoten Islands, a cragged Norwegian archipelago that rises out of the ocean in kilometre-high peaks covered in green and amber forest. Over in Iceland, golden autumn light dapples over acres of red and orange fields, with Icelandic horses and enormous mountains lining the rugged roads. All this spectacular scenery means a self-drive is one of the best ways to explore.